Positive associations between religiosity and subjective well-being (SWB) have been found in a multitude of studies. However, there has been little effort in documenting the role that religion plays in helping people during the onset of adverse circumstances in their lives. This study investigates the effect of religion on the SWB of the disabled. We utilized secondary data from the Korean Longitudinal Study of Aging from 2006 to 2016 with a sample size of 36,484. Starting with nondisabled participants, we applied a difference-in-differences approach to a fixed-effects model and compared the magnitude of the decrease in SWB resulting from disability between religious individuals and their nonreligious counterparts. The empirical results show that following a religion increased SWB by 0.94 (p < 0.01) and the onset of a disability reduced SWB by 3.57 (p < 0.01) out of 100. Furthermore, there is a significant gap in happiness levels between religious and nonreligious individuals when they are diagnosed with a disability. Becoming disabled reduces SWB for nonreligious people more than that for religious people by 2.62 (p < 0.01). 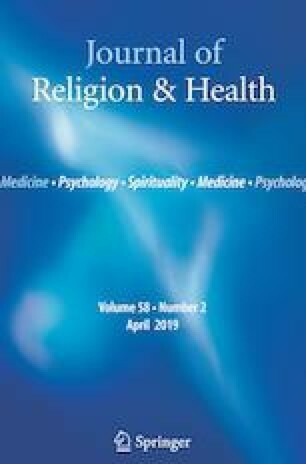 This study confirms that following a religion helps people cope with adverse circumstances such as the onset of a disability. This research is funded by Dong-A University. This article utilizes a secondary data released to the public by the Korean Employment Information Service. OECD. (2019). Public spending on incapacity (indicator). https://doi.org/10.1787/f35b71ed-en. Accessed on January 17, 2019.